Jodi Ulrich, area manager for the Bank of England Mortgage branch in Brookfield, Wis. Leads a highly talented team of professionals dedicated to providing the highest level of accuracy and customer service. 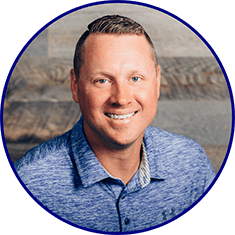 He began his mortgage career in 2003 with a large bank, before moving to Colorado to launch a start-up. Upon his return to Wisconsin, he joined Bank of England Mortgage in 2010, working to make the Brookfield branch one of the top branches in the company. Ulrichs 16-year experience lends a deep understanding of all areas of the business, including purchases, refinances, FHA, conventional and VA loans. This experience has helped guide his team to over $425 mm in purchase and refinance loans. Ulrich is a graduate of St. Norbert College and currently lives in Brookfield, WI with his wife, Marlaina, and their three children: Paeton, Evan and Logan. When he is not thinking about loans, he enjoys coaching basketball and spending time with family.